To escape, Bridge and Logan dive under the radar and into the politics of the Gangland, the autonomous zone in the middle of the corporate-owned Los Angeles of 2029. Bridge must find a way to make Logan disappear before the clan of religious assassins from ancient Japan catch up to them both. 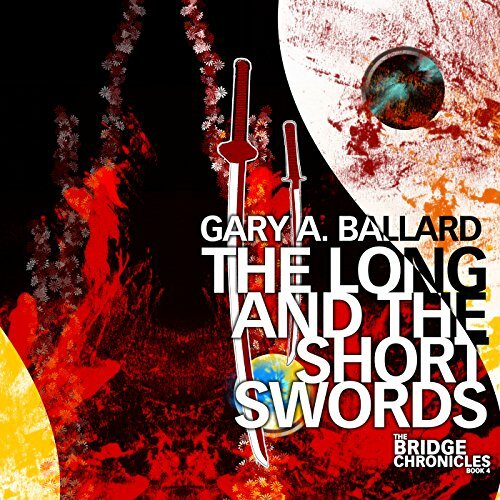 This pulse-pounding thriller is the fourth in the critically-acclaimed independent cyberpunk series The Bridge Chronicles by Gary A. Ballard. This was my favorite "Bridge Chronicles" book so far. I listened to the Audible audio edition, and for some reason, I found the new narrator, Steve Rausch, easier to listen to. Joe Hempel narrated the first three books, and he did a good job, but all the "street talk" was harder to listen to over extended periods with him narrating. I didn't tired of Rausch's narration like I did with Hempel's. The story itself was exciting, and I found that I was able to get into it more with this one. If there is another book in the series, I would probably listen to it in hopes that it would be more like this one.